It’s the month of May and the Indianapolis 500, often referred to as “The Greatest Spectacle in Racing,” is right around the corner. 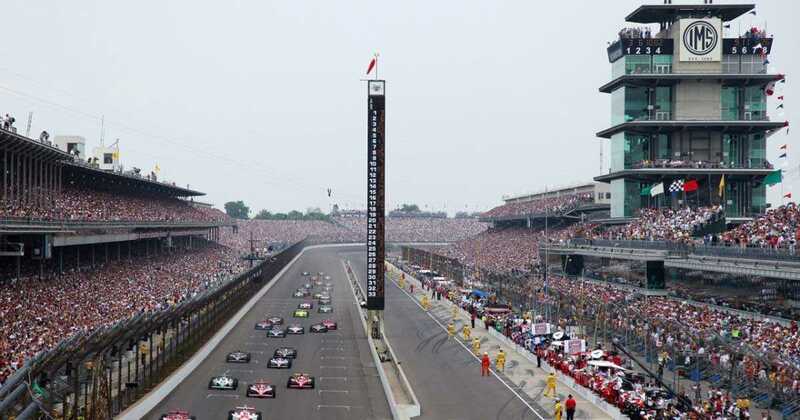 Every year, hundreds of thousands of people pile into the Indianapolis Motor Speedway on Memorial Day weekend for the largest sporting event in the world. For many, including us here at A.E.D., heading to the track is nothing short of tradition. To those in the Indianapolis area, the race has become part of the fabric of our culture - everyone literally has a story of what the Indy 500 means to them and their family. You can feel the excitement building in the air the closer we get the race. Quite often in my travels someone asks, “Does A.E.D. do any business with Indy Car?” Of course the short answer is yes, as we are based in Indy. However, as I think back over the years, I realize how important and involved A.E.D. has been with Indy Cars. Today, we are privileged to assist every Indy Car team in the country, Indy Car direct, Dallara, the Indianapolis Motor Speedway, IMS Productions, IMS Museum and numerous components manufacturers and suppliers here in the U.S. and overseas. Overall, A.E.D. has supplied every team, full time or part time, and every chassis manufacturer since 1998, in every version of open wheel racing: CART, Champ Car, Indy Racing League (IRL), and Indy Car. A.E.D. started operations at a very opportune time in the industry. The CART / IRL series had just split which sparked an entirely new need for materials, parts and support equipment. This certainly provided much needed business to help A.E.D. get up and running. In fact, I had forgotten and what many don’t know about A.E.D’s relationship with Indy Car, is that 23 years ago our very first order supplied was to the still young team of Ganassi Racing – a piece of 4130 steel plate! I remember how exciting it was for our first order to be from an Indy Car team. We owe much thanks to the Ganassi programs over the years, as they taught us how to strive for excellence. This is what led us on the path to support so many great teams, car builders and providers in the sport. In the beginning, I personally was excited about the technology in the new and developing Indy Cars, but what really caught my eye was the history of the cars. A.E.D. became good friends with so many of the great fabricators and metal smiths from the sport. Don Brown, Jackie Howerton, Jerry (Weeks) Baker, Willie (Bill) Davis, AJ Watson, Wayne Leary and Gordon Barrett, just to name a very few who have shared the A.E.D. name and introduced us to many others. Over the years, our team and I have come to enjoy the craftsmanship and handwork that built such beautiful cars – it is an art form that is becoming lost in today’s racing. Thank you to everyone who has included us in their projects and passion over the years. So, yes, Indy Car is a large part of who A.E.D. is. Our reputation, professionalism and desire to make it happen has all been learned from working with many of the greatest racing programs in the world. This attitude is what carries A.E.D.’s vision and focus into the future as we supply quality products to motorsports, aviation, aerospace and defense programs around the world. We are less than two weeks away from the Greatest Spectacle in Racing. As I have done over the past 22 years, I will visit with our friends and customers in the morning, then head to my seats in Turn 4 to simply spectate for the 102nd. Running of the Indianapolis 500. See you there.